Monaco Riviera Navigation (commercial signs MONACO RIVIERA NAVIGATION and MONACO RIVIERA COMMUNICATION) is a limited company registered in Monaco and a family business run by Pierre BREZZO after his professional debut in the maritime tourisme in Monaco since 1991. 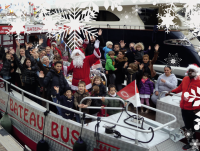 He is a man of the sea, a grandson, son and brother of the fishermen settled in Menton since the beginning of the century (Ange BREZZO, Prosper BREZZO, Lionel BREZZO are still in business these days). Monegasque entrepreneur, Pierre BREZZO had presided over Monaco Union of Traders and Artisans (UCAM) for 25 years, from 1987 to 2012. 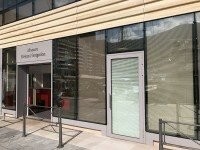 It is a professional union, member of the Federation of Enterprises in Monaco (FEDEM), very actively involved in the retail trade in the Principality. Appointed to the Monaco Economic and Social Council from 2000 to 2011, and in addition, being a member of the Steering Committee of Economic Development Chamber (now Monaco Economic Board (MEB)) from 2003 to 2012, he had the honor to be appointed Chevalier dans l'Ordre de Saint-Charles in 2000 by Prince Rainier III. 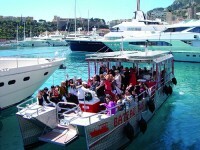 He had also been elected as a trade representative in the Municipal Council of Monaco Mayor’s office from 1987 to 1991. 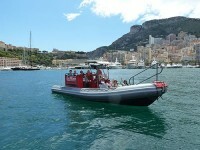 … on board of a comfortable boat, which is regularly anchored at the edge of Grand Prix de Monaco track since 1992. It has an exceptional position, in the angle of the Tobacco shop Corner, so you can watch live the racing and enjoy the quality services (bar, restaurant, …)! 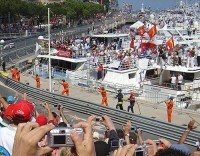 (www.mrc-monaco.com ).